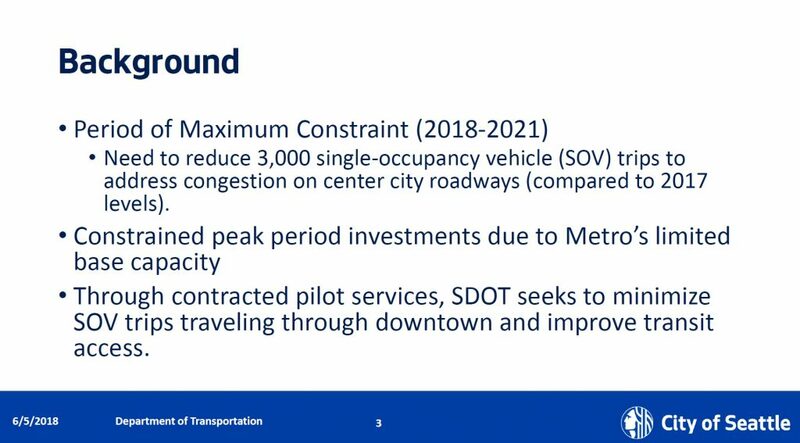 While advancing Mayor Jenny Durkan's plan to give ORCA passes to Seattle Public Schools, the topic of a special bus service was raised in the Seattle City Council as the "period of maximum constraint" looms. 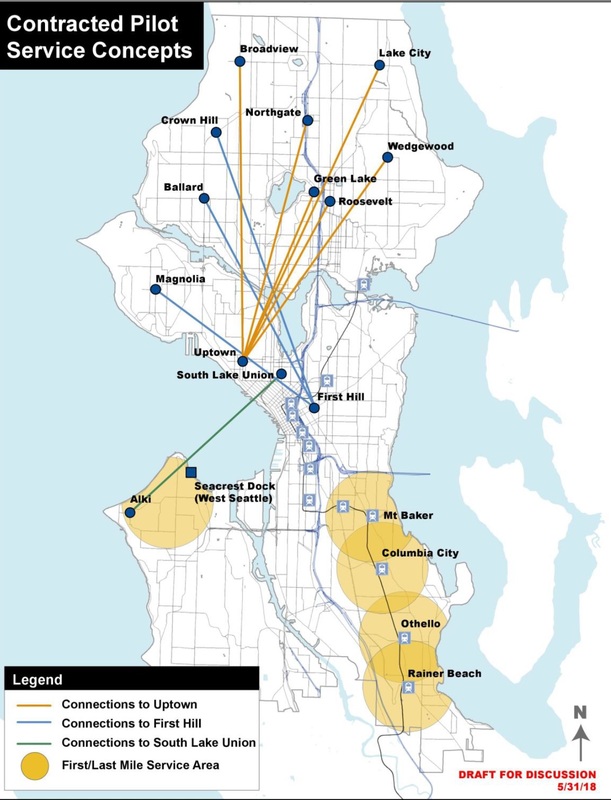 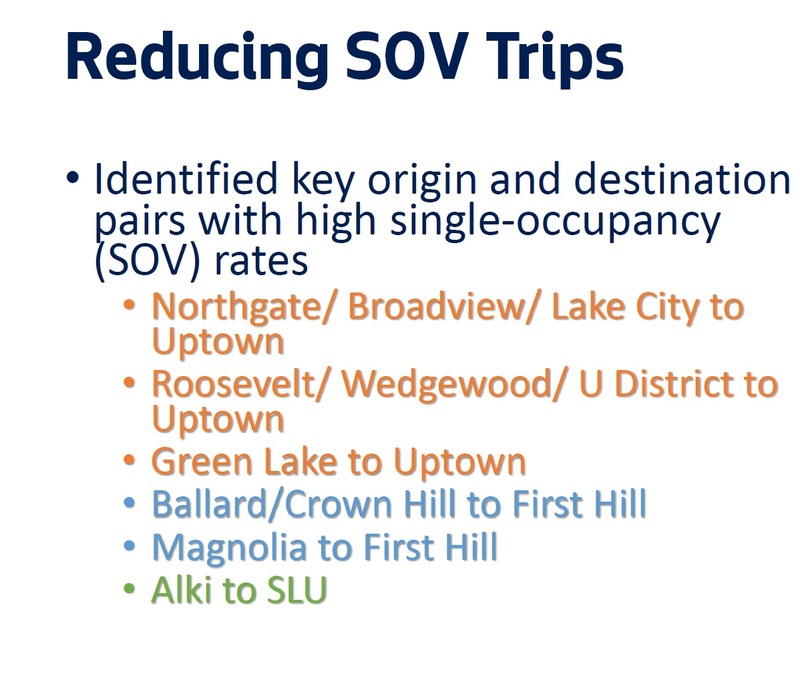 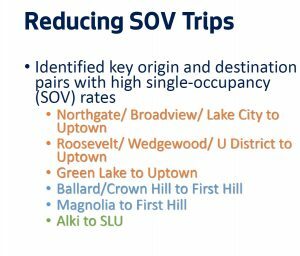 Yesterday afternoon, the Sustainability and Transportation Committee voted to recommend approval of some changes to the Seattle Transportation Benefit District plan. 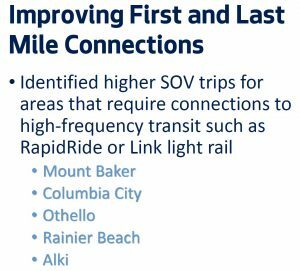 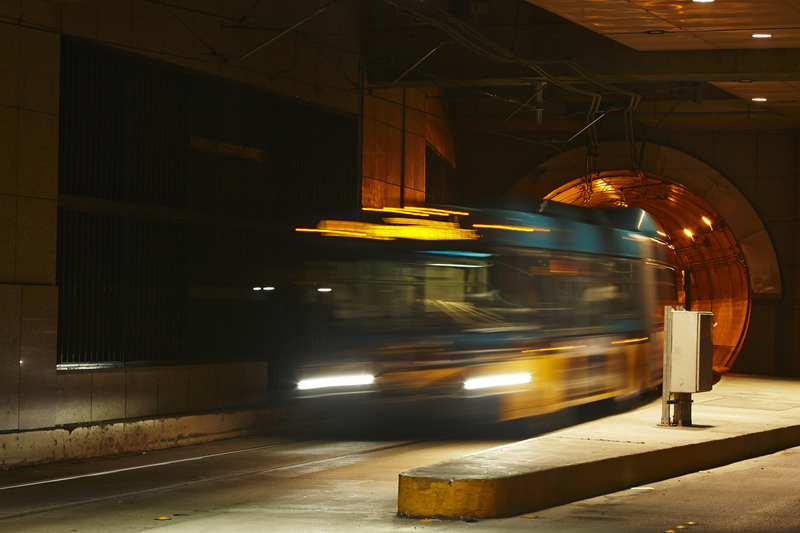 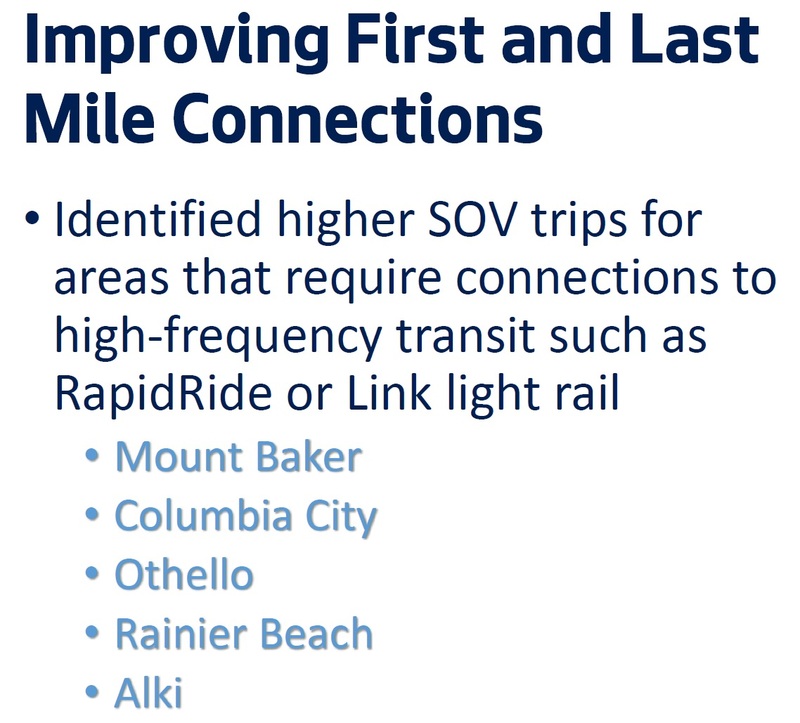 It includes a high-profile proposal from Mayor Durkan, and another interesting program that is slipping through almost unnoticed: a limited private bus system. Between the two programs, that would mean an additional $11.5 million per year starting in 2019. 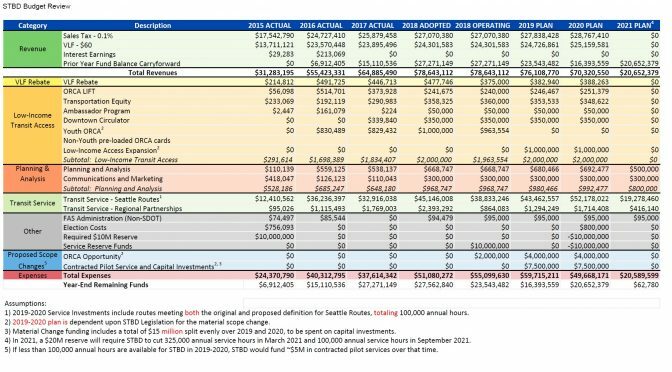 Fortunately, it looks like the Seattle Transportation Benefit District has the money: it has been running a surplus the past few years and carried a fund balance of $27 million into 2018 (click here for expanded version).